Club Penguin Cheats by Mimo777 Club Penguin Cheats by Mimo777: Club Penguin Rockhopper Invite! 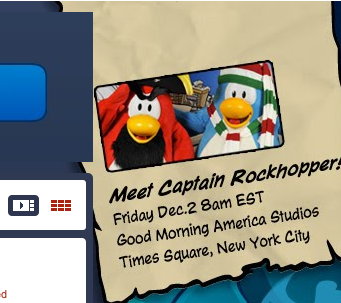 Did you notice on the clubpenguin homepage there are 2 ninja shadows! How cool! How come there isn't something like this in California or other states? You can only get that stamp at a food vendor, like the burger stand, or the pizza stand, both of which are not at this party. Thank you Braceface27, but after refreshing a few times I managed to get the stap at a Fish Cart.